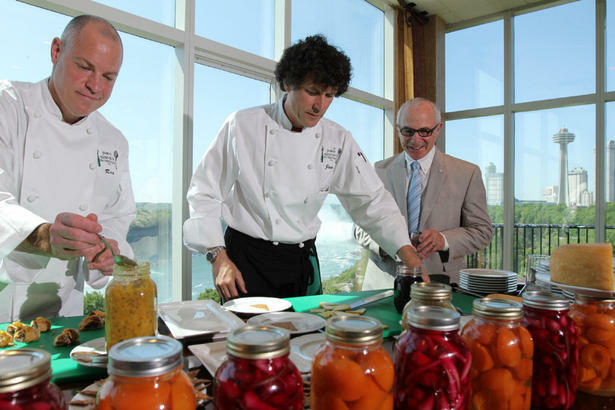 Falls Avenue Resort offers one-of-a-kind Fallsview dining, accommodations, and attractions that make Niagara Falls the ultimate romantic summer getaway destination. 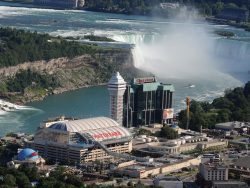 The 20-acre Falls Avenue Resort sits directly across the street from the thundering Niagara Falls in the heart of the city’s tourist district. 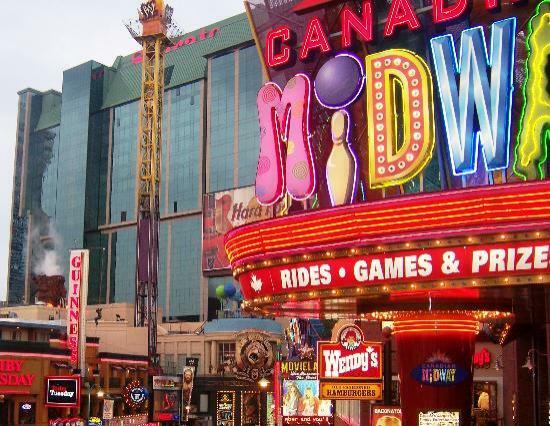 The Resort’s hotels, restaurants, and attractions are all centrally located just steps from Hornblower Niagara Cruises and are just a short drive away from the region’s best wineries and golf courses. Falls Avenue Resort is now home to the Niagara Brewing Company, Niagara’s newest craft brewery experience. Located in the middle of the excitement right on Clifton Hill, Niagara Brewing Company offers a changing variety of bold and refreshing beers, a Niagara-inspired tasting menu, and a relaxing outdoor patio environment. It’s a craft beer experience unlike any other. For the best Fallsview accommodations in the city, look no further than the Sheraton on the Falls and Crowne Plaza Niagara Falls-Fallsview. 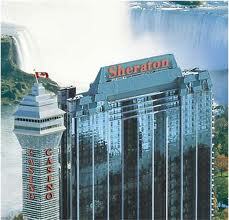 The Sheraton on the Falls offers beautiful sweeping views from floor-to-ceiling windows in each of the Fallsview guestrooms, while the Crowne Plaza offers classic elegance overlooking the majestic Falls. Falls Avenue Resort is home to a wide array of restaurants and offers one-of-a-kind couples dining experiences at the 4-Diamond Windows by Jamie Kennedy Fresh Grill & Wine Bar and the Rainbow Room by Massimo Capra. 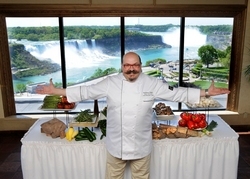 Both Fallsview restaurants offer exquisite menus, extensive wine lists and breathtaking views of Niagara Falls, making for romantic and unforgettable couples experiences. The serene and beautiful Christienne Fallsview Spa is a one-of-a-kind relaxation experience located in the Sheraton on the Falls hotel. The spa offers exclusive amenities, features a breathtaking Fallsview treatment and relaxation area directly overlooking Niagara Falls! Falls Avenue Resort is a 20-acre entertainment complex in Niagara Falls, Ontario that features properties such as the Sheraton on the Falls, Crowne Plaza Niagara Falls-Fallsview, Niagara Brewing Company, Hard Rock Café, Hershey’s Chocolate World Niagara Falls, Casino Niagara, and Fallsview Indoor Waterpark. The Resort is home to 35 meeting rooms, 1,200 guestrooms, 12 restaurants, and numerous entertainment sites and attractions. 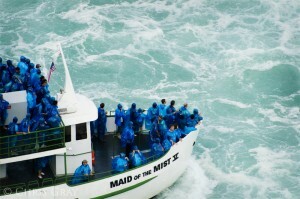 Niagara Falls has been selected as one of the Top 12 locations for New Year’s Eve celebrations. Niagara is noted on the list that includes Sydney, New York, Paris, Hong Kong, and London for the most breathtaking places to be as midnight strikes. An annual tradition, Niagara Falls welcomes in the New Year with Canada’s largest free New Year’s Celebration with a free concert and spectacular fireworks display at the Falls. Each year, the free concert draws more than 40,000 visitors to the brink of the Falls to enjoy live music from big name artists and a dramatic fireworks show that lights up the sky above Niagara Falls. This year is no exception with an outstanding concert lineup that includes Simple Plan, Our Lady Peace, The Sheepdogs, Keshia Chante, and rising star Stephanie McIlroy. 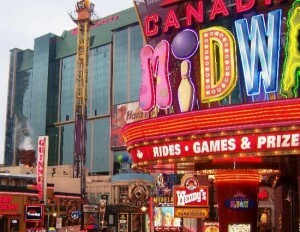 If your plans reach beyond the concert, then ring in 2012 in Niagara Falls at the Falls Avenue Resort. From Fallsview Gala Packages, a spectacular Fallsview dinner with reservations at the Rainbow Room by Massimo Capra or a Fallsview Indoor Waterpark Package, Niagara Falls and the Falls Avenue Resort are like nowhere else for New Year’s Eve.